Guild Member Marilyn recently visited Ballinahown craft village and sent us this account. Sounds well worth a visit! Ballinahown craft village (near Athlone) is a stunning village with two great craft shops and a wonderful cafe…more a tea room…..with china cups and teapots and wonderful home baking and cooking. There is a great craft circle in that area and they appear to be thriving! 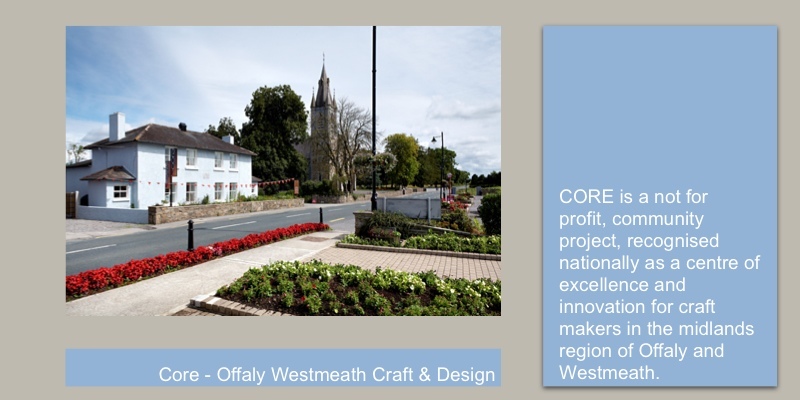 The websites on the brochure are www.corecrafteddesign.com and www.celticroots.ie. It was the perfect stop off point between our visit to Clonmacnoise and Athlone Castle! We had a wonderful lunch and bought lots of beautiful Irish crafts.